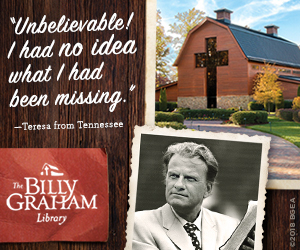 Billy Sides said it was truly a blessing to visit the Billy Graham Library. 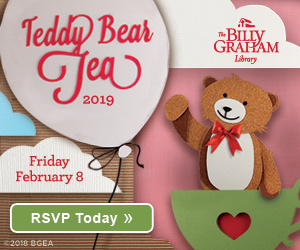 Billy Sides never got a chance to meet Billy Graham or even attend one of his Crusades. But he considers the beloved evangelist to be one of his heroes. For decades Mr. Sides has read Billy Graham’s daily My Answer column, still published to this day. And aside from their names, the two have a few other things in common. Both were born in North Carolina. Both were farm boys. And now that Mr. Sides faces failing health, he looks forward to the glory of heaven and seeing his wife there—just as Mr. Graham did. 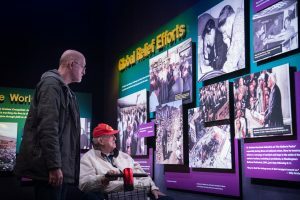 So it was no surprise when, after entering hospice care a few months ago, Mr. Sides had a special request: to visit the Billy Graham Library. “Billy Graham has really helped my dad through his life, and my dad being a good Christian has really helped me in my life,” his son and caregiver Michael said. The pair recently made the trip to Charlotte, North Carolina, to tour the Billy Graham Library thanks to Second Wind Dreams, a nonprofit that helps grant wishes for the elderly. 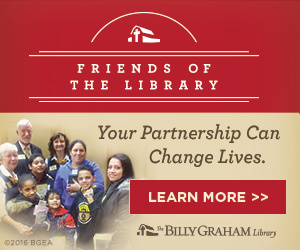 >> Watch Billy and Michael Sides talk about their visit to the Billy Graham Library below. The 8o-year-old United States Marine Corp veteran was diagnosed with congestive heart failure and also has dementia and progressive lung disease. Riding his red motorized wheelchair on the pathway leading to the cross-shaped entrance of the Library, Mr. Sides paused for a moment, putting his hand over his heart. Mr. Sides was able to take the Journey of Faith tour through the Library and visit Billy Graham’s gravesite. Mr. Sides admits that closeness with Christ wasn’t always part of his life. He was baptized at a young age, but started drinking heavily when he joined the military. Until God calls him home, Mr. Sides plans to fill his time making a few more memories. 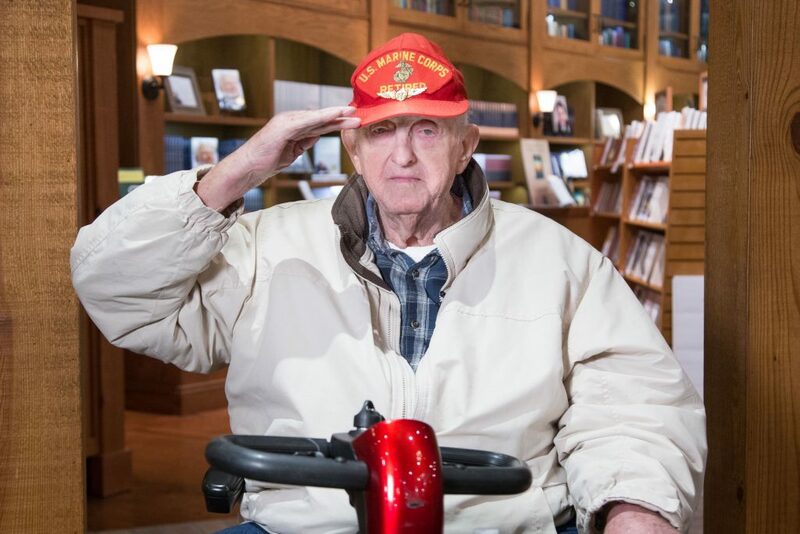 “If I would live to be 100, I shall not forget this day,” he said of his trip to the Library. “Now, I’m going to do more praying and more listening to His Word,” he continued. Just wonderful. I want to visit the Library with my husband someday too! 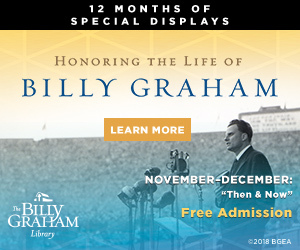 We would love to see you at the Billy Graham Library in Charlotte, North Carolina – it’s 100% free to visit here!